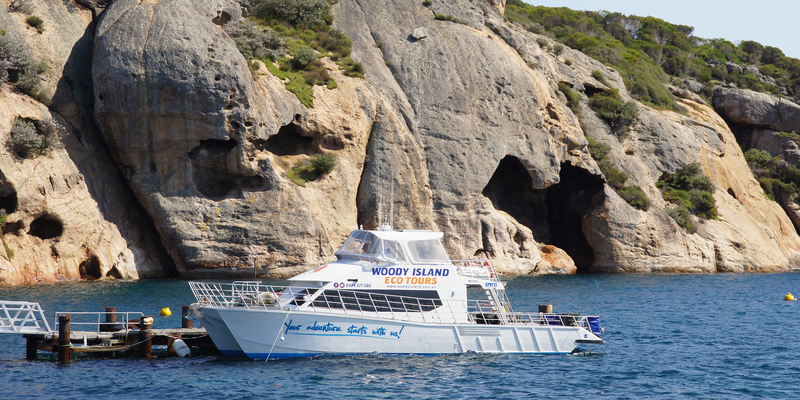 Middle Island is situated approximately 130km east of Esperance and 9km south of Cape Arid National Park, the nearest mainland. It is an A Class Nature Reserve vested with the Department Biodiversity, Conservation and Attractions (DBCA), and is the largest island in the Recherché Archipelago. 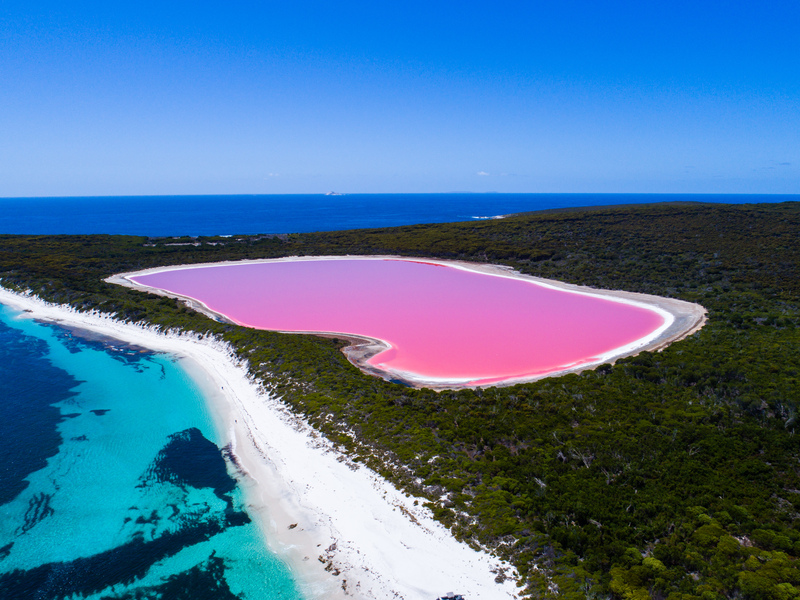 At certain times of the year, our friends at Black Jack Charters offer trips to Middle Island and the world renowned Lake Hillier. The western end of Middle Island is dominated by Flinders Peak, a large granite hill 174m high. 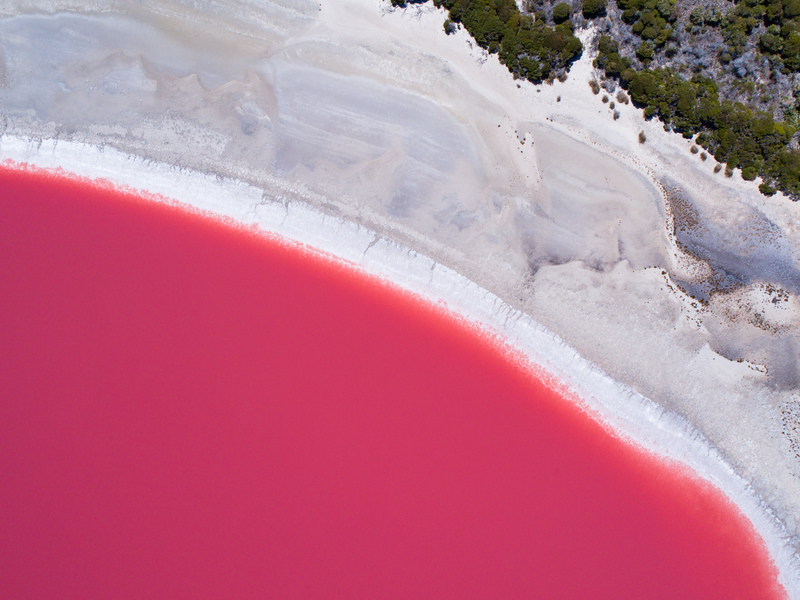 Behind the beach is Lake Hillier, a shallow saline lake about 1km across and incredibly pink in colour. Salt was mined from this lake years ago and train tracks are still visible. Matthew Flinders and his botanist Robert Brown visited Middle Island in January 1802 to collect flora material during his voyage through the Recherché Archipelago. A rough track (marked with surveyors tape) leads to the top of Flinders Peak. On the summit there is a cairn of rocks. Many climbers who reach this peak have recorded their name and date in a register found near the cairn. From this summit, enjoy a breathtaking panoramic view of the whole island, Cape Arid and the islands to the south is available. 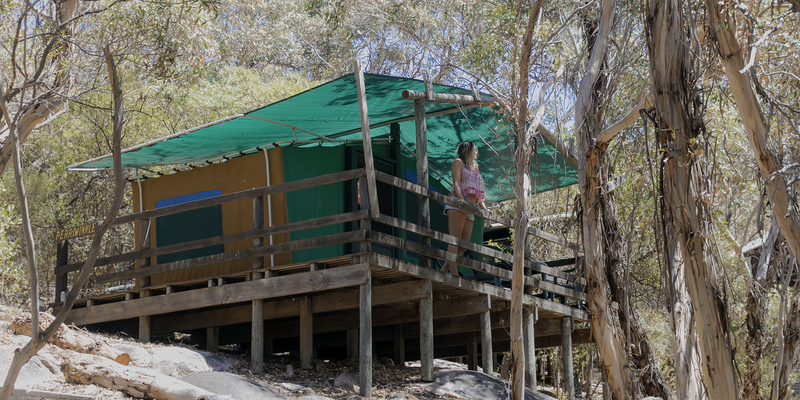 Middle Island is rich with fauna, with possibly the most well-known resident being the Tammar Wallaby which resides in the vegetated sections of the island. Several reptiles have been recorded, including one snake, a Crown snake. 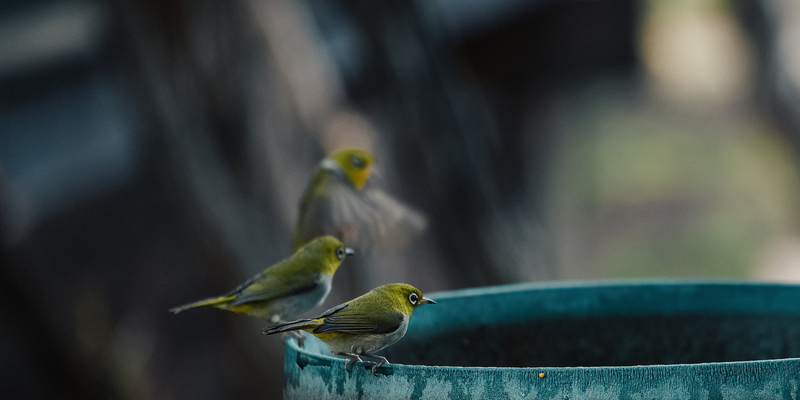 31 species of birds have been identified. 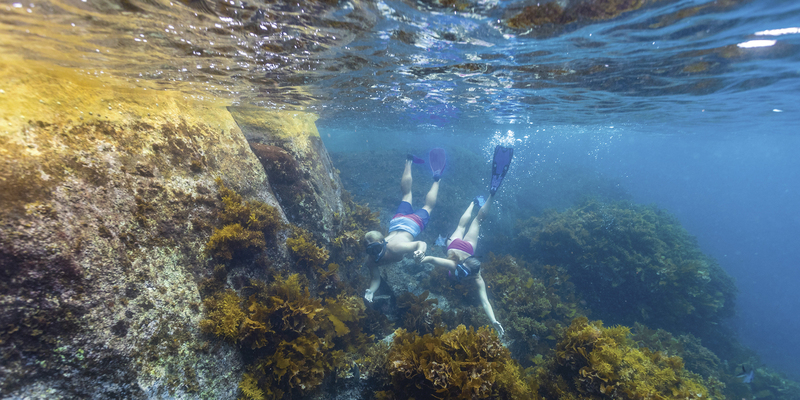 The northern bays of the island provide safe anchorage and good swimming beaches. The wreck of the vessel ‘SS Penguin’ is visible from the beach. Historical sights found on the island indicate previous settlement. A granite fireplace with a baker’s oven is located south from the old hut in a direct line with Lake Hillier. Metallic remains of horse drawn rail wagons and old lightweight rails are located on the western end of Lake Hillier. They were probably used to transport the salt to the beach. About 300m east of the fishing hut and behind the coastal dunes is a rock well 6m deep and several granite fireplaces. Goose Island, adjacent to Flinders Peak and accessible by dinghy, is a major breeding ground for mutton-birds. The area is inundated with burrows so tread carefully if visiting this island. Black rabbits and some Crown snakes also reside on this island. A cairn similar to the one on Middle Island is located on a high point on the northwestern end of this island. Local legend has it that Black Jack Anderson, Australia’s only known resident pirate, once inhabited Middle Island for ten years. He came to Australia in 1826, where his crippled boat arrived in King George Sound (now Albany). While drinking with his whaling crew mates at the general store one night, a fight between the seamen broke out resulting in the death of a man. It was Black Jack who was held accountable for his death, although there was no evidence to prove him guilty.